I used a Penny Black sentiment, and a Stampin' Up Forest Friends deer, which I've always felt had a retro illustration feel. I added a little red rhinestone so you know who he is. I used a mat of red mirror card because my sense of 'retro' is that everything was very shiny! Wow, so great. Love Rudolph's red nose! Everything did have the super shiny plastic feel. absolutely perfection for the retro theme. So, so cute! I love how he's standing astride the sentiment. 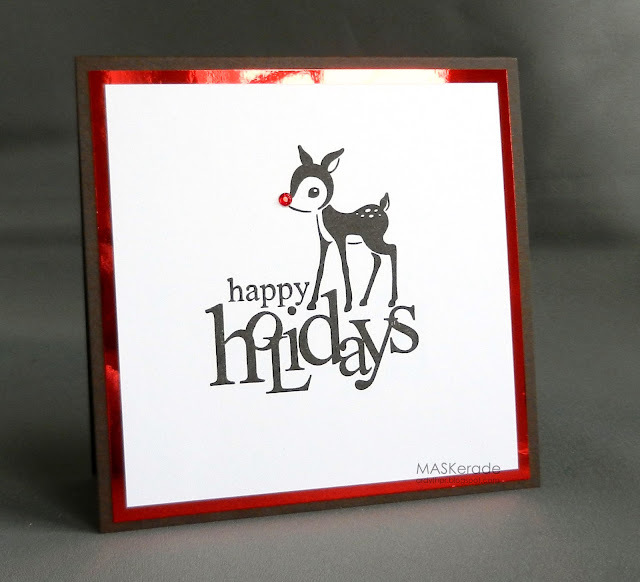 The red shiny paper and that sweet deer make such a cute card! Definitely retro...and I remember retro! LOL! Oh, Ardyth...this is wonderful! He most certainly DOES have a retro look and I LOVE his red nose! Love how you have him nestled in with the sentiment, too! Beautiful, as always, my dear!! Deer Ardyth....Bev cracks me up! 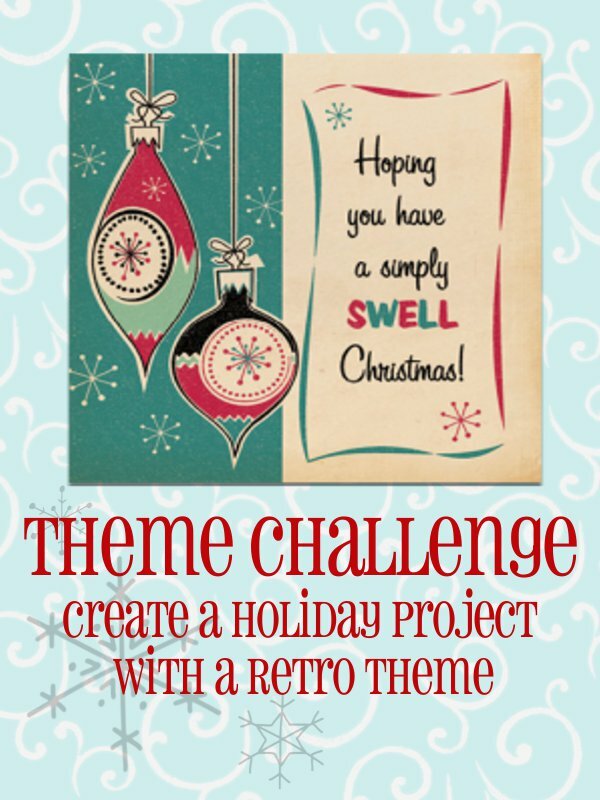 You have an amazing ability to "feel" a theme, which always results in a perfect interpretation of a challenge! 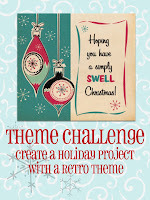 This card is the perfect example - totally a retro Christmas feel! I love the shiny red paper! You likely are far too young to remember the red shiny hot pants and the stinkin' hot pleather boots...right? Oh, I love how Geri put it - the way you 'feel' a challenge. She's so right!! This is another piece of perfection, my friend!! Really perfect! The shine on the background is great to compliment Ruddy's nose. But, I LOVE, LOVE, LOVE how you fit his legs in the sentiment like a puzzle. You must have been so pleased! I had to look twice because I thought for sure the image and sentiment were one stamp. You totally ROCK, you know that, right?!? Wait, I just looked again, and noticed the deer is SU! So that means you must have stamped him first since those stamps are not clear, right? So cute...love that sweet Rudolph with the red nose. That sentiment ROCKS and looks like it was made to go with that adorable deer!